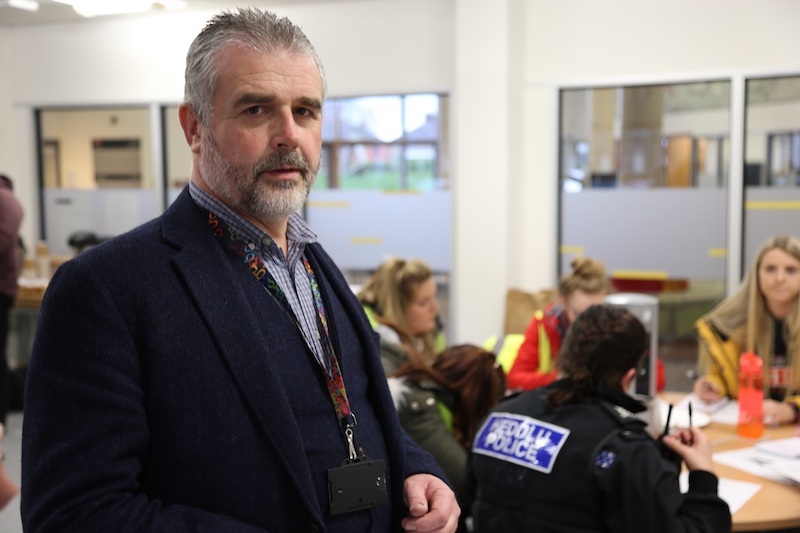 A high-profile learning exercise has taken place at Wrexham Glyndwr University – with students working with the emergency services to respond to a simulated event. During the event, which took place from 10am to 4pm yesterday, a staged altercation involving Theatre, Television and Performance students took place on campus. 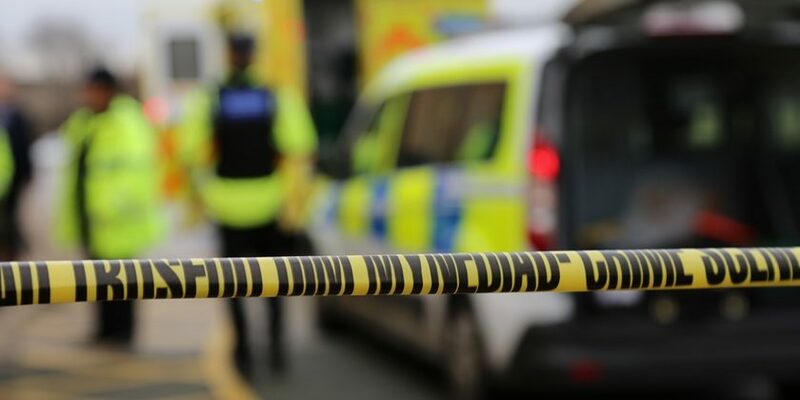 The incident was ‘witnessed’ by other students on Criminology and Criminal Justice and Psychology courses who were taking part in the day but not informed of the details of what was to take place. Lecturer Andrew Crawford, who teaches on the BA (Hons) Professional Policing course and who came up with the concept of the day, said: “The incident which occurred involved an altercation which ended with a staged assault. “This was responded to by campus security in the same manner as a real incident would be, with security managing the scene and the emergency services being called – this happened through a pre-agreed arrangement with the services on site on the day. As the day progressed, the simulation became a murder investigation – with students from the university’s Forensic Science degree called in to analyse the scene for evidence as policing teams worked to establish what had taken place. A series of briefings were held for policing students as this information was brought to light. These were managed in the same way as actual police briefings would be, and culminated in a press conference – in which journalism students posed questions to the police officers and policing students taking part. Parts of the day were also filmed by Television Production and Technology students, who will be producing mock news reports on the event as part of their studies. Mr Crawford added; “We wanted this investigation to be as realistic as possible, and as such a series of witnesses needed to be spoken to by our students. “As they built up a picture of what had happened and why, briefings were held to update the investigation – and a simulated press conference was held, giving both sets of students the chance to ask and answer questions in the way they would in real life. “Once we had built up our intelligence picture and were confident we had identified our ‘suspect’, a series of arrest teams deployed. The suspect was arrested in the university’s specially-equipped crime scene investigation house and transferred to a mobile police station on site. “Running a simulation like this has been a major undertaking, and teams from right across the university have been involved – including a series of colleagues on other degree courses, our professional and student services departments, and more. “We also worked closely alongside the police and ambulance services throughout the day. He added: “As a former police officer myself, I have worked hard to develop scenario-based learning as part of our policing degree. You can find out more about Wrexham Glyndwr University’s BSc (Hons) in Professional Policing here. Read 1,220,182 times in last 30 days. Read 1,220,182 times in last 30 days, and 73,819,607 times since we started in 2011.